Everyone’s favorite unbeatable Guitar Hero band DragonForce are still going strong, currently on tour in Europe before they come back to the states to play Atlanta’s Prog Power fest. Right after that, there will be a very special chance for NYC residents to catch the shred in, uh, not the most expected location. That’s right: DragonForce are playing Greenpoint’s home of underground metal, Saint Vitus, on September 10. This is a rare, hilarious chance to catch “Through the Fire and Flames” in an intimate setting. You won’t even have to stand SO FAR AWAAYYYY to see them! Tickets are on sale now. 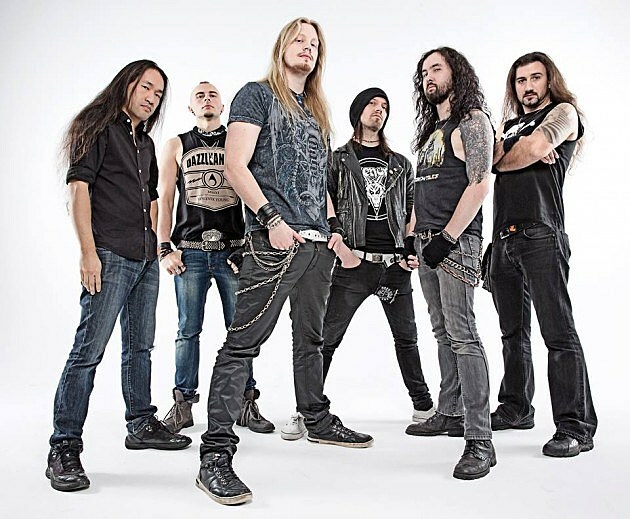 DragonForce are also playing Bloodstock fest in the UK, and Dragonforce bassist Frédéric Leclercq is a founding force of the new supergroup Sinsaenum with Attila Csihar. All dates listed, along with several live videos of “Through the Fire and Flames,” below.